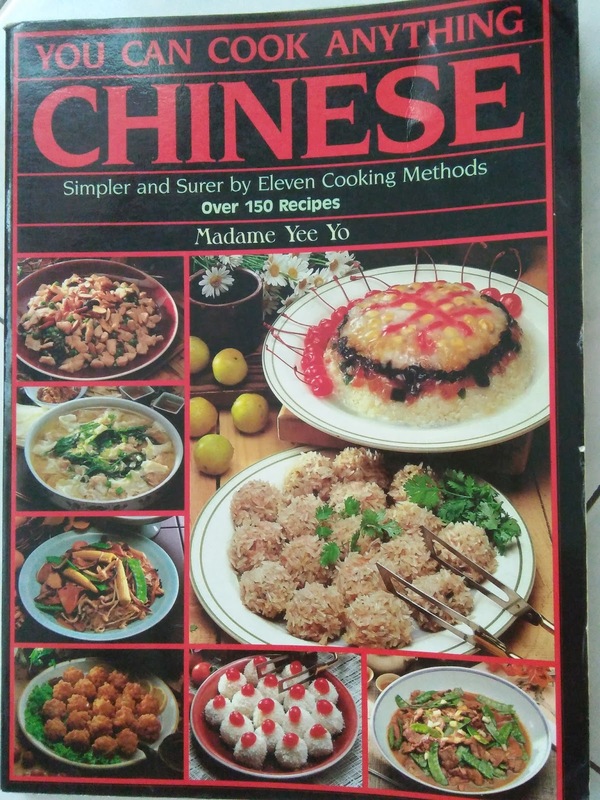 For October, I will continue to prepare some dishes using the recipes from this book 'You Can Cook Anything Chinese' by Chef Madame Yee Yo. 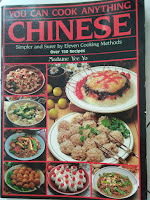 There are lots of recipes here and time is the only constraint for not trying them. 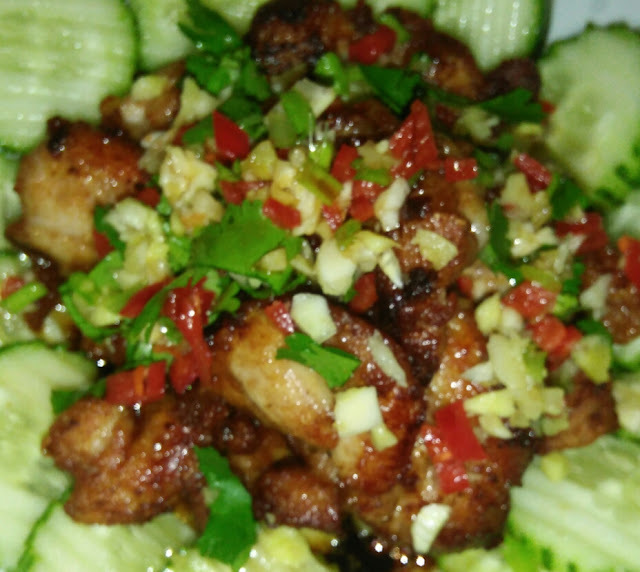 The chef has explained that this is finger-licking good fried chicken served in a deliciously different way. Really, it is a lot simpler than most familiar recipes yet it's awesome. 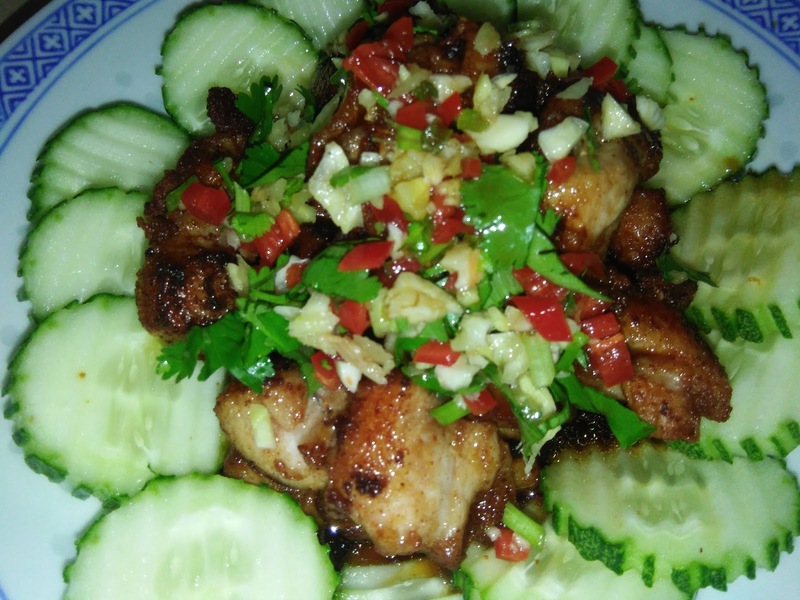 The fried chicken pieces are tasty, fragrant and moist that goes so well with the sauce. The sauce need not be boiled but you can boil it, leave to cool before adding the chopped ingredients. This can be a great party dish as it can be prepared ahead. 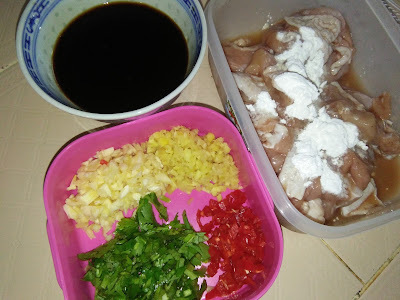 Marinate chicken pieces with marinade for about 30 minutes. Combine the sauce ingredients [except the chopped condiments] and bring to boil if preferred, cooled before adding the remaining ingredients. 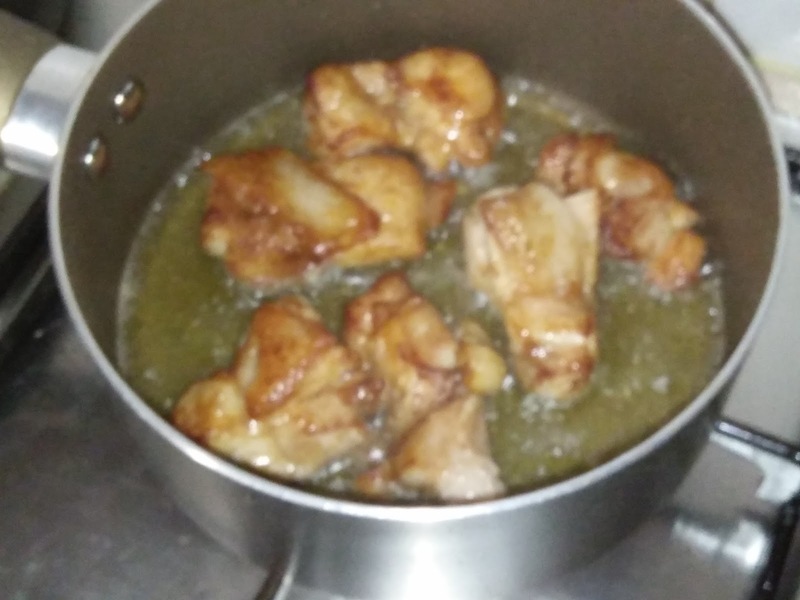 Heat up enough oil to fry chicken pieces until golden brown and crispy. 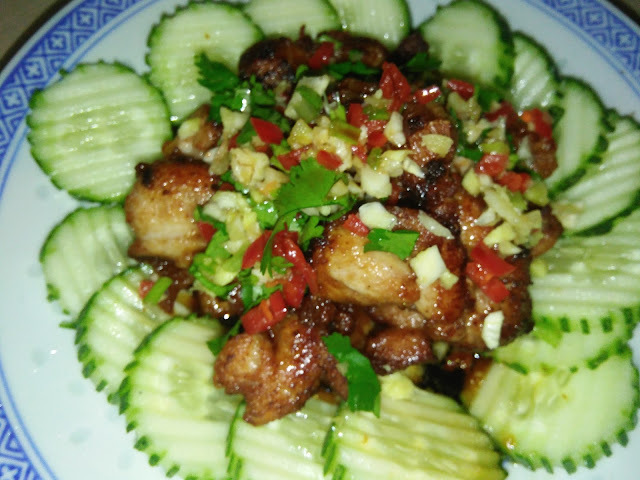 Drain and arrange on serving platter garnish with some sliced cucumbers [optional]. Pour over chicken the garnishing sauce. thank you Kimmy for sharing with us diligently your good cooking.the recipes are simple yet i realise you know how to play with flavours and ingredient well. Thanks Eddie for your comment. 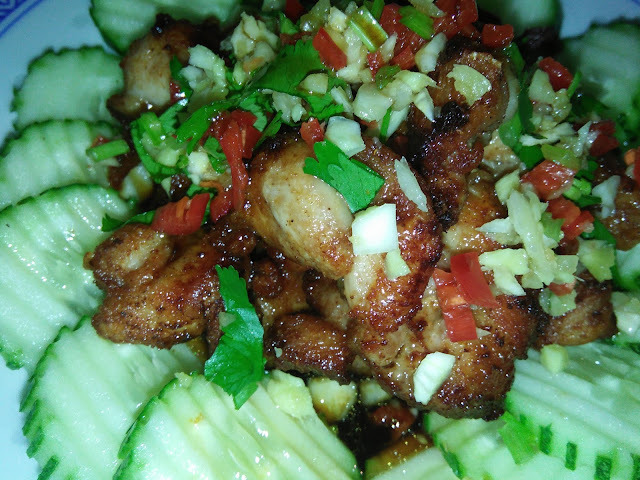 I love simple and easy to prepare dishes without comprising the tastes and flavours. 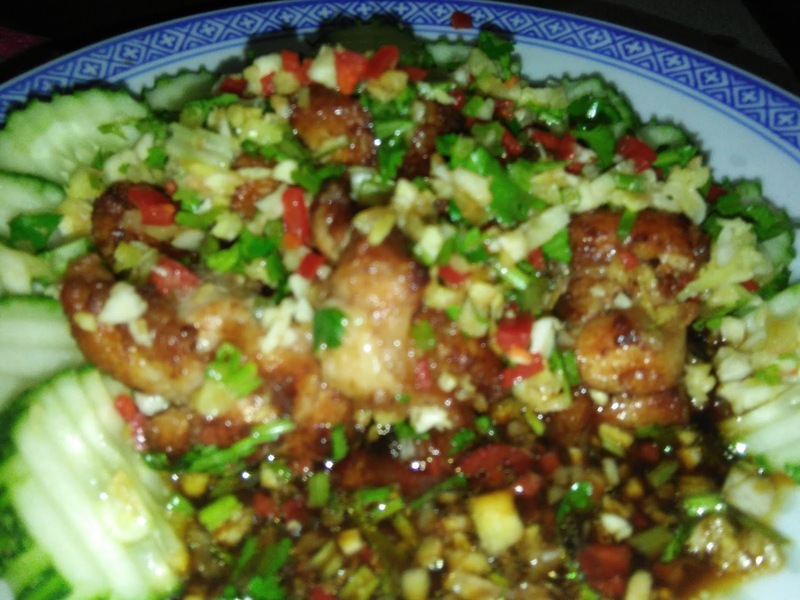 This garnishing sauce is good for any fried food like fish, prawns, meat and even firm beancurd. Very appetising. I agree with you Kimmy, there are just so many recipes to try and yet we do not have enough of time! This dish looks like a real winner, looks very delicious! Hi Joyce, this garnishing sauce is a keeper. 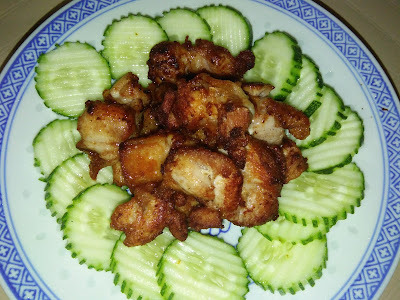 It goes so well with any fried food to serve with rice. It is delicious, I like it very much. Hi Eddie, I'm from Penang. Happens that I'm also using Lee Kum Kee oyster/mushroom sauces and light soy sauce but do watch out for the origin of the product. I think they may have different quality for different markets. For dark/light soy sauces, I prefer our local 'Knife' brand, not sure if this brand is available at your place. For Penangites, we will use Ghee Hiang sesame seed oil. Happy cooking.